For video of this animation see item #17. Two children gently move up and down on this popular playground ride. Includes all figures as shown. 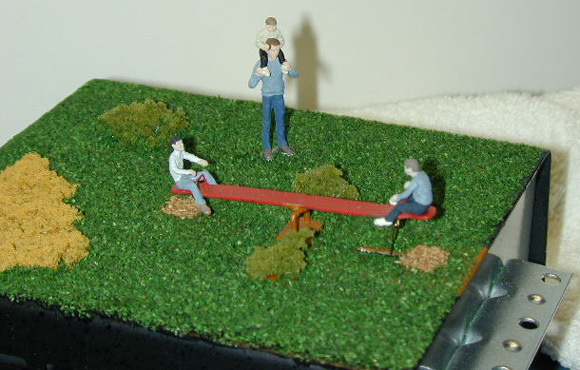 Perfect for a playground or backyard scene on your layout. Great companion to our swing set, merry go round, and man flying the airplane. Fully landscaped as shown. Easy installation.